A leather gun belt is more than a strap to keep garments and guns securely at waist level. Its existence is rooted in life. The accessory was first birthed as a living being, and after its life ran its span, it was treated and tanned with chemicals and craftsmanship devised to ward against the rigors of decomposition. Age comes for us all. Leather — as an organic textile with fibers prone to cracking and damage from multiple elements — needs to be cared for in order to maximize its longevity. Fortunately, there are ways to prolong its lifespan. Here’s a shocker: that leather belt on the gun owner’s waist was flesh. Flesh receives nutrients, moisture and vitality when alive. 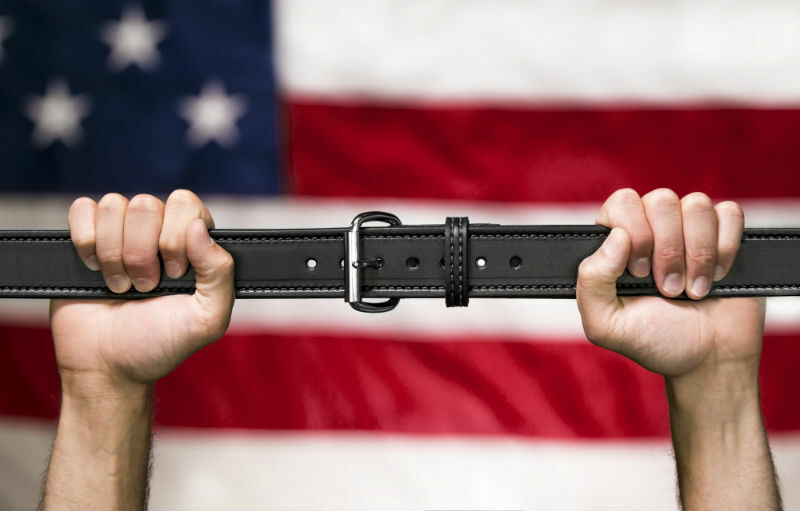 After being cured to serve a utilitarian purpose, the new belt does not have an internal source of moisture. Water damage, hot and arid environments, daily wear and tear, dirt, grime and sweat all actively degrade the source material over the years. Keep it alive with a leather conditioner that works into the pores and maintains natural oils within the product. This will secure a supple, flexible surface that wards against fissures and cracks developing over time. Don’t use a conditioner with alcohol or abrasive chemicals. Make sure the pH level is neutral. Anything straying from that may corrode, discolor or damage the material. Dab a dime-sized dollop of conditioner on a soft cloth and work it into the leather by using small, tight circles. Let it sit for a short period of time and gently wipe the belt with a new, clean cloth. Some suggest to do this approximately once a month. 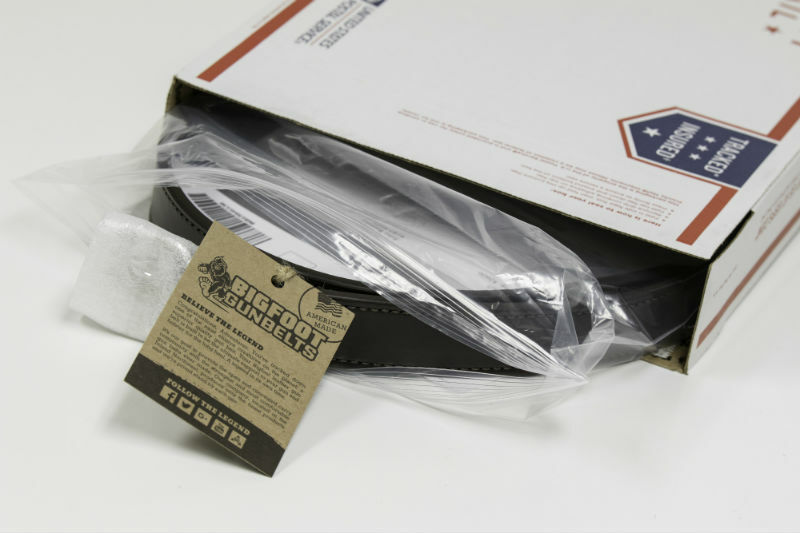 Taking care of a leather gun belt is simple: keep it clean and ward against future problems. If oil is spilled or splashed onto a belt, try wiping and buffing it off with a dry rag before even attempting to use soap. Saddle soap is a preferred compound. It has a mild detergent and softening materials. These softening agents are fatty substances like lanolin, which is pulled from sheep’s wool. There are also natural preservatives in saddle soap, like beeswax. A leather belt is typically going to be tough already. That’s the whole point. It’s already a durable material treated by a chemical process, but it’s important to keep the material healthy. Do so by protecting it from future issues. Many use mink oil, which is pulled from mink fat and used in many health and cosmetic products. It creates an effect similar to human sebum, a waxy and oily substance secreted on human and animal skin from within the sebaceous glands. These substances waterproof and lubricate skin. Mink oil and other products similar to it that utilize animal fat or beeswax will create a similar effect on leather. The idea is to seal moisture in leather while warding against excess water or hard minerals that will warp or dry out the substance. If the leather is losing its gloss and shine over time, some use leather shoe polish on the belt. There is some dissenting opinion on which types to use, but generally a low-impact wax gets the job done. Clean the belt beforehand and vigorously buff the product in. Some polishes are black and brown, but there are also neutral polishes, which some rely on because the other black and brown types may not match the shade of the belt. Be wary of polishes wherein a dye may negatively affect the natural look of the leather. Similarly, weigh all the available options when polishing a metal belt buckle. There are specific polishes for the metal type and different consistencies of the polish — spray, liquids and so on. Be sure not to spill the polish on any surfaces or material beneath the belt. 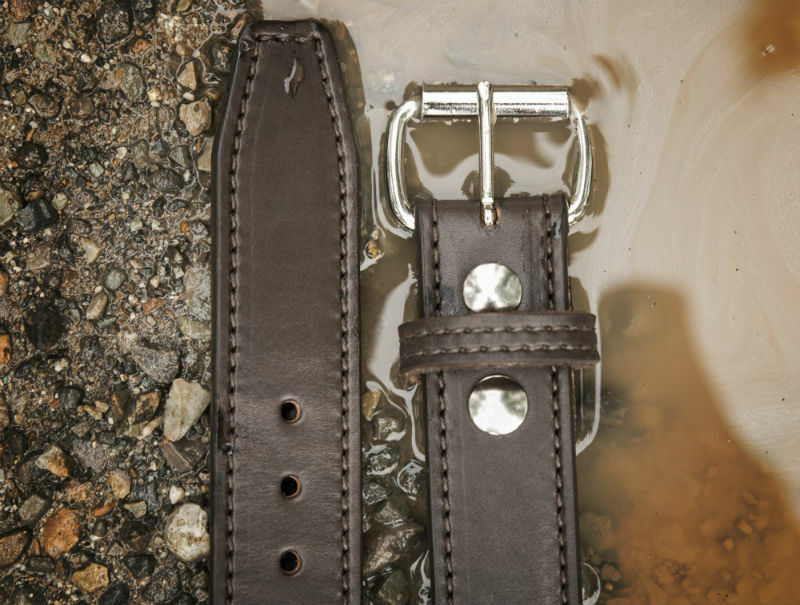 Give the belt time to completely dry after treating it with conditioner, polish, soap or otherwise. The fresh chemicals and materials in the products could damage clothing or surfaces. No matter the cleaning, conditioning, waterproofing, lubricating, polishing or waxing, there is a way to store the belt after a hard day’s work. Methods of how to store a belt are fairly straightforward: hang it up out of direct sunlight. Prolonged exposure to sunlight will dry out and bake the leather. Hanging up the belt will help keep its shape better than rolling it up and shoving it in a drawer. Some sources say to cover the belt in cotton cloth and to avoid covering belts in plastic for an extended period of time, as they’ll dry the leather out. 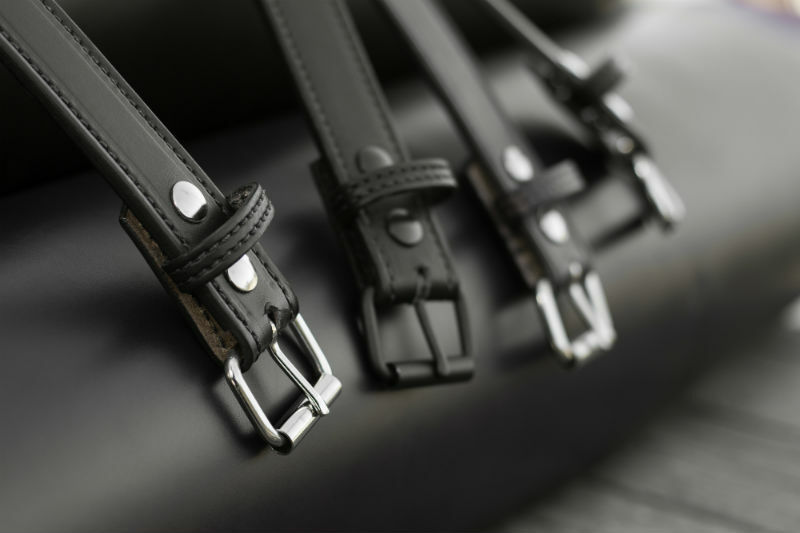 Remember, leather was once an organic substance and its fibers, while durable and comfortable, are prone to damage that synthetic belts are otherwise secure from.